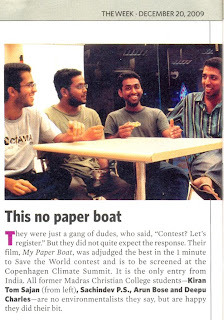 Glad to know that ‘My Paper Boat’ is sailing successfully to some thinking minds propagating the message of global warming, climate change, drought & displacement. 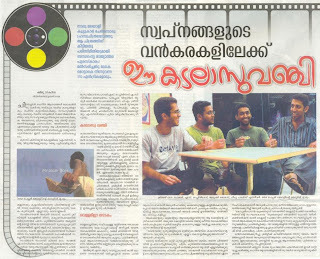 Through this film we are trying to present the nearing state of displacement one might have to face in future because of climate change, shown in the perspective a little boy who lost his play-space. 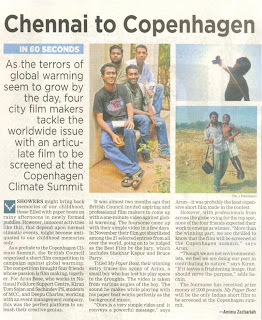 Screening of the film was done on a giant CO2 CUBE. 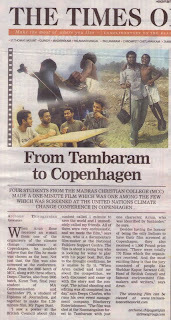 It was screened daily throughout the 2 weeks of Copenhagen Climate Change Conference by UNO at Denmark. 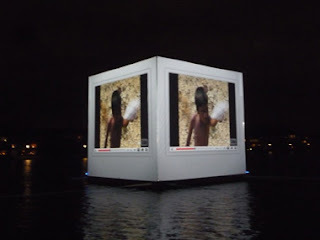 The 8.2m x 8.2m x 8.2m cube sat on the lake in the centre of Copenhagen showcasing a powerful visual representation of the size of a ton of carbon. 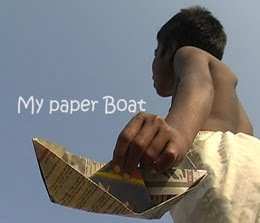 My Paper Boat is the story of a little boy; we keep meeting somewhere or rather everywher e in the heart of India. He lost his play space due to the drought. He is now confused on where to leave his paper boat. So he is looking around for various means to make it move. For him, the hot sun is the villain who took off his comforts, but we know the reality. He is still on his search for an option. The protagonist here represents the displaced population due to global warming. 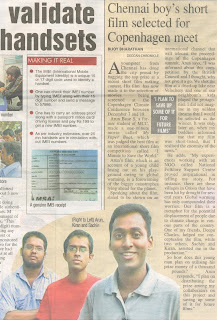 Please find below the news reports and blogs on this video.